Goodreads: One by one, the women of Vows wedding planning company have found their own perfect matches, eventually leaving PR director Parker Brown as the only loner. When her encounters with mechanic Malcolm Kavanaugh take an unexpected direction, she begins to wonder if she too has found her perfect match. Kritters Thoughts: A great way to end the series. I loved the fourth book in the Bride Quartert because it wrapped up the storylines. My one wish is that we would have been able to see each of the four ladies walk down the aisle. But that is the only wish that I have and I am ok to walk away from these four ladies knowing that they will all have happily ever afters. Cute, sweet and great reads. I think this series would be perfect to take along on a beach vacation and pass amongst friends. 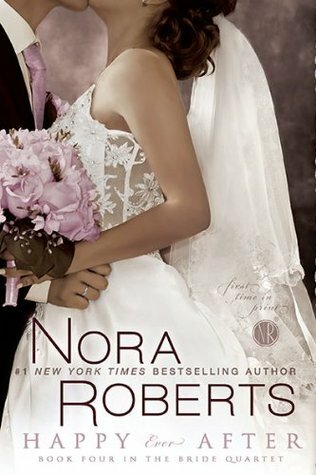 This series was my first encounter with Nora Roberts and I loved it. I think all of my female readers who love sweet stories would get completely wrapped up in the first book and would want to travel with these girls throughout the four books. I did take a vacation from the series between book two and three, but easily picked up and wasn't lost at all. This is the only one out of this series that I have yet to read. Glad to hear that you enjoyed it!